We’re back in the swing of things! International Bible Fellowship Church kicked off our 9am Family Fellowship Hour (Sunday School) today, and it feels like the year has really begun. Thank you to those of you who read our recent newsletter and have been praying for Sunday School teachers – we have a full set of teachers and assistants! Praise the Lord! With the long school break over (“summer vacation,” which is actually winter for us in the southern hemisphere), it was nice to have the church back to full capacity. The picture above misses the whole left section of the church, as well as all the chairs lined up in the back. 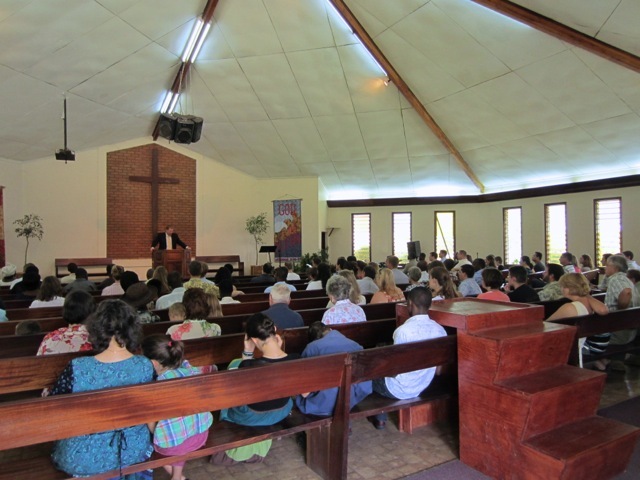 There were about 200 people at church today. It’s also nice to have Brian Biedebach back in the pulpit after their furlough, and to continue with our study of the book of Ephesians. 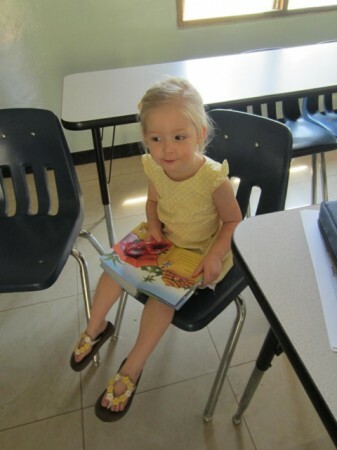 During the 10am main service time, we simultaneously run a Children’s Church program for kids ages 0-11. Beatrice, pictured above, has been helping with Children’s Church for some time, and we’re so thankful for her. Today she had 18 kids in her class of 3-6 year olds! I didn’t count, but I did see the 7-11 year olds filing into class as well, and I would guess there were 30-35 in that class. Wow, that’s a lot of kids! 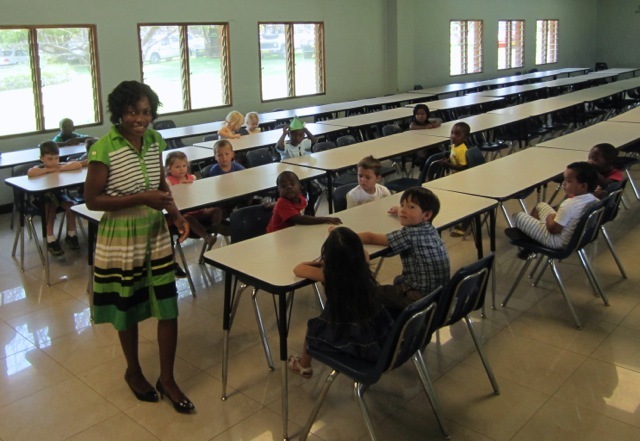 Pray for the teachers and leaders of nursery, Sunday School, and Children’s Church, as well as Matt as he gives oversight to all the programs – looks like it’s going to be a busy year! This entry was posted in IBF, Ministry. Faith Bible Church swings into our new year this week, with Care Groops starting up, and our Sunday School beginning on the 15th. Praising God for you teachers and assistants. I will be a part-time assistant for Junior Church this year too. May God bless both our children’s ministries and save many kids!